At GiveNkind, our mission is to make giving more personal and purposeful. 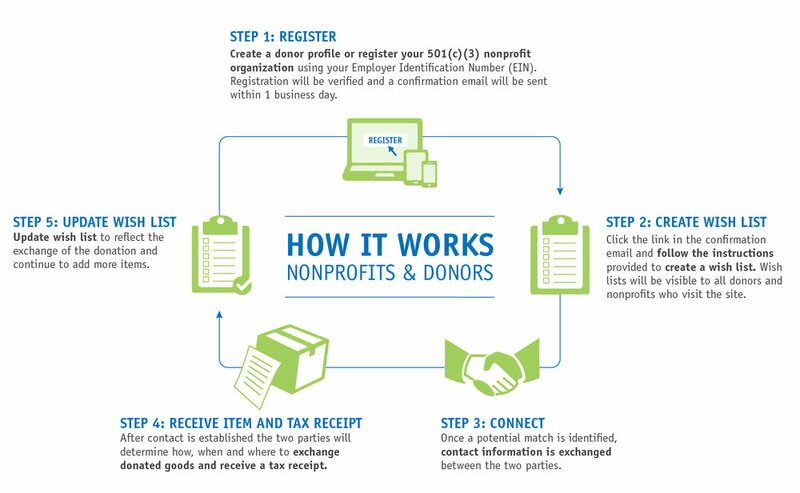 We do this by providing a searchable, online database that creates opportunities for individuals with items to donate to find, and directly connect with registered nonprofits that can repurpose those items for good within their community. We work to cultivate relationships that drive lasting positive impact in communities. We believe that people want to do good. We continuously iterate and innovate on technology to make doing good accessible to all. We operate with an understanding that local giving can have a long-term effect in strengthening our community. Do you have items in your home or at work that you aren't using? Create a donor list that can be seen by nonprofit organizations and search their wish lists to see what charities already posted! Product trial runs, canceled, and returned goods can be put to great use in the hands of local nonprofits. Save warehouse space, receive a tax receipt, and support organizations in need! Let donors know what your needs are and search donor lists to see what is available. If you don't ask you never know what is out there that can help your organization serve your community! Here are just a few of our nonprofit partners who have already registered on giveNkind. See our full list at Community Partners. These businesses' gifts are helping to support giveNkind and our nonprofit partners. giveNkind is proud to be a 2018 iHeart Media Community Partner. This October-November, giveNkind will be heard 50 times across 6 Chicago iHeart Radio Stations, including a 1-hour interview. Listen for us and join in our community of giving! See how giveNkind helps donors and nonprofits connect. up from Alexandra and delivered to Edwin’s new home. To learn more about the nonprofits we serve, please visit our Community page.